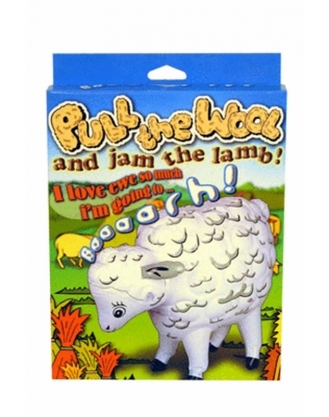 If you're looking for a truly unique blow up toy that will be the life of the party, you'll want to be sure to get Pull the Wool and Jamb the Lamb I'm Going to Baaaaarh. Who needs beautiful lady love dolls when you can have this cute little woolly blow up sheep? Imagine giving this as a gag gift at your next guy's night out, stag or bucks party. Sometimes a guy just has to have a bit of fun, right? Cute detailing, you're sure to get a kick out of this unique product. Doesn't that sound hilarious for that mate we all know will enjoy this! NMC Novelties has been around the block for over 3 decades. Focusing purely and simply on affordable toys that are both reliable and are concerned with body safe materials and practicalities than anything else. Concerned about the customer they're dedicated to delivering you quality.